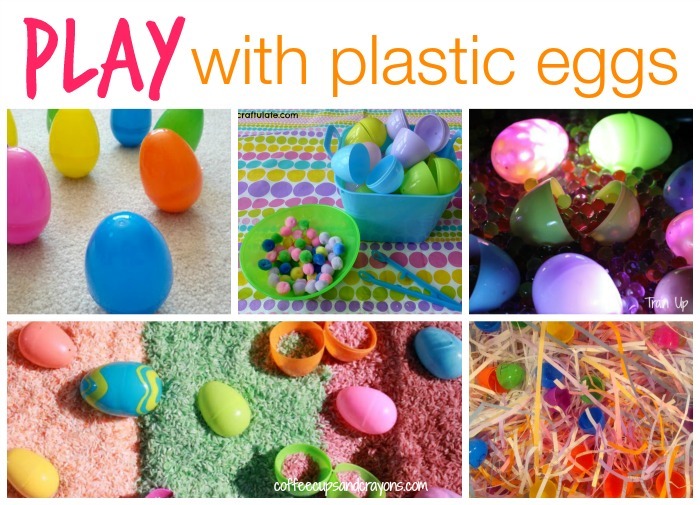 Plastic Easter eggs can be used for more than just hiding on Easter morning. 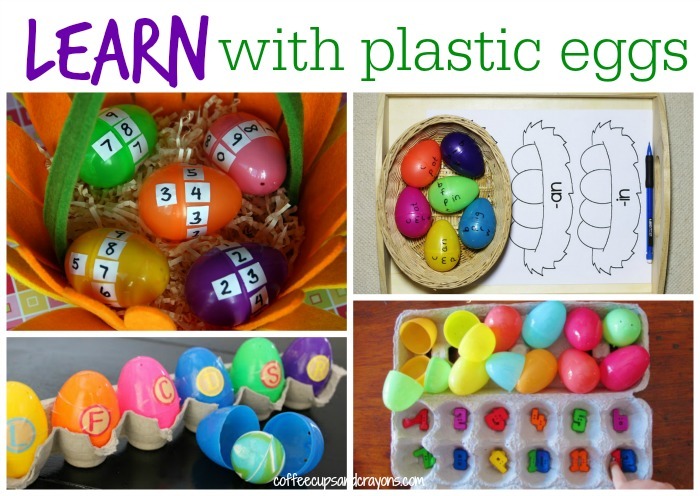 We found more than 50 fun ways to play, learn and craft with plastic eggs! I’m sure you don’t have the time try to all of these so I broke the activities into sections so you could quickly find an idea that will work for you! Whoa! Aren’t you so glad you saved your plastic eggs? Get them out and have some fun with your kiddos! For more spring fun check out all my Easter activities or visit my Easter Pinterest board. Follow Megan Sheakoski ::Coffee Cups and Crayons’s board Easter on Pinterest. 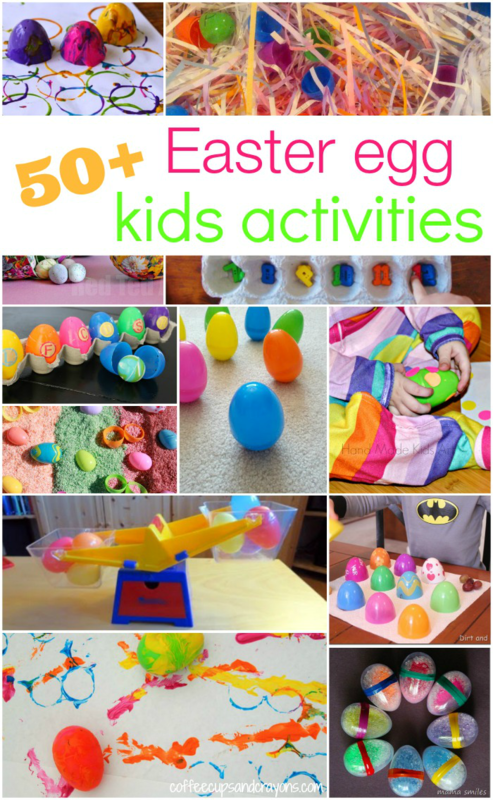 Can you believe there are so many egg activities! Love yours! Thanks for including us in your round up. Such amazing ideas all in one place! very cute and lovely ! Wow! 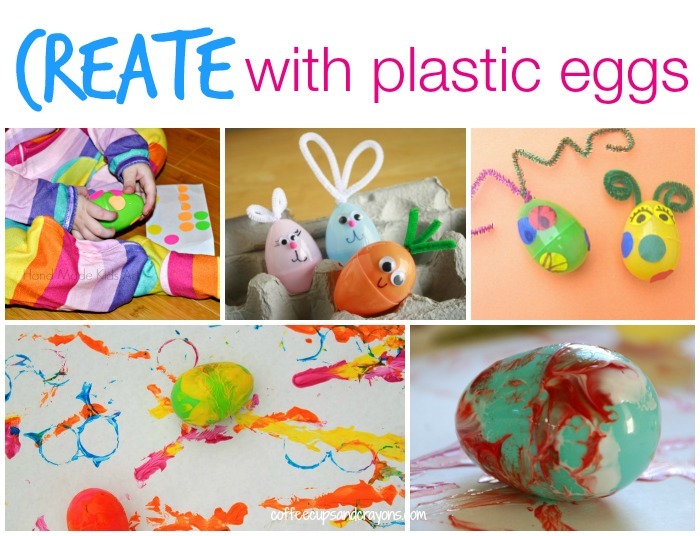 What a wonderful collection of plastic Easter activities. Thanks for including our oviparous animal sensory bin. What a great round-up!! Thank you for including our sinking experiment.